Lent. The mysterious four- letter word that we have made a routine, no chocolate, no television, no, no, no. We use it as an occasion to diet, to take a break from a favorite guilty pleasure. We do not think of Christ’s suffering but the dress or pants size we hope to be, the time we will gain from this disciplined distance between us and channel surfing. We will, of course, not spend the time with God but catch up on all the other things that we need to do. Still, we will pat ourselves on the back, confident that we have made God proud. But, there is more to this time of preparation than that. Christ gave up more than that. He gave his life and he did it to gain us. Surely, we can think of something more in order that we might join the fellowship of Christ’s sufferings (Philippians 3.10). Certainly, there is more to our faith than this. Or, is this what we believe? 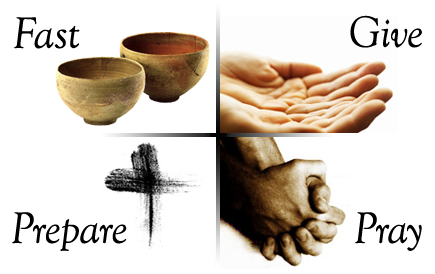 Do we think that this is all that it takes, all that is required, that there is no depth, no real cost to discipleship? And if so, why? And why continue on season after season if this is all there is to Christianity? Christ died and we die to our flesh by giving up sweets. We pick up our cross by putting down the remote control. Still, I believe that there is a cavity in our soul that this decision does not address, that there is an ache in the mouth of God’s Body, that we are so familiar with the story that something is being left unsaid. And it is because it is assumed. We assume that we know his sufferings because we know what was done to him. Isaiah prophesied about it, the gospel writers retell the story of Christ’s passion and movies attempt to recapture it in graphic detail. But, have we really thought about his sufferings– not for the whole world but for us as individuals, that he died for you and me. The fact is that Christ thought we were something more and could be someone more than sinners. And he gave his life to prove it.